The answer is – they are here that they may “live unto the Lord,” and may bring others to know His love. We remain on earth as sowers to scatter good seed; as ploughmen to break up the fallow ground; as herald’s publishing salvation. We are here as the “salt of the earth,” to be a blessing to the world. We are here to glorify Christ in our daily life … Let us live earnest, useful, holy lives, to “the praise of the glory of His grace. What does this mean for our marriages and children? 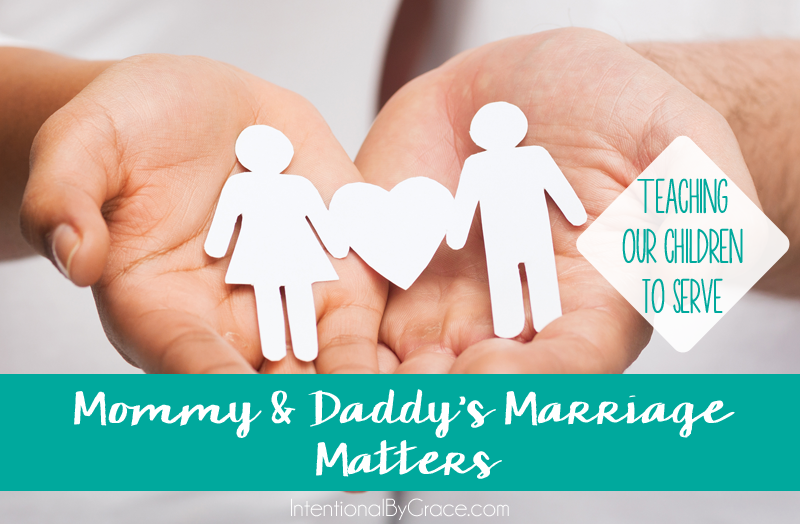 Through Mommy and Daddy’s example, our children learn what it means to serve God and others – Mommy and Daddy’s marriage matters. First, we are called to live unto the Lord. If we live, we live to the Lord, and if we die, we die to the Lord. So then, whether we live or whether we die, we are the Lord’s. We belong to God, and He desires for us to serve, love, and glorify Him. Serving God is not a job for the casually interested. It’s a costly service. He asks for your life. He asks for service to Him to become a priority, not a pastime. He doesn’t want servants who will give Him leftovers of their life’s commitments. Are you joyfully committed to living life intentionally by grace for the glory of God? Do your children gather from you that serving the Lord is something you enjoy or something you endure out of the mere sake of duty? God wants willing servants. Mommy and Daddy’s example matters. Additionally, we are not left here on earth for our benefit, but for the benefit of others. Serving others is an outflow of our service to God. Counting others as more significant than ourselves commends the Gospel of Jesus Christ. When our children see Mommy rising early to pack Daddy’s lunch for the day, or when Daddy chooses to stay home on a Saturday morning to play with Legos instead of go on a bike ride with friends, our children view serving others in a tangible way. Additionally, the way Mommy and Daddy care for one another will not be missed by our children. Marriage is a daily example of living life in service to others. Are we teaching our children, through our example, to serve kingdom of self, or are we teaching them to be a blessing to the world? Mommy and Daddy’s example matters. Finally, we must teach our children that we are not here so we can get good enough for Christ. We could be wrapped up and brought into Heaven at any given moment. We do not have to be finished before we can go there. We do not serve God or others out of guilt or as a way to better our standing before God. The reality is that, as Christians, we are already perfectly ready for heaven. This reality frees us to serve God and others with freedom, joy, and humility. The child of God works not for life, but from life; he does not work to be saved, he works because he is saved. Mommy and Daddy emulate the grace we receive from Jesus Christ to our children as we freely and fully forgive one another … daily. 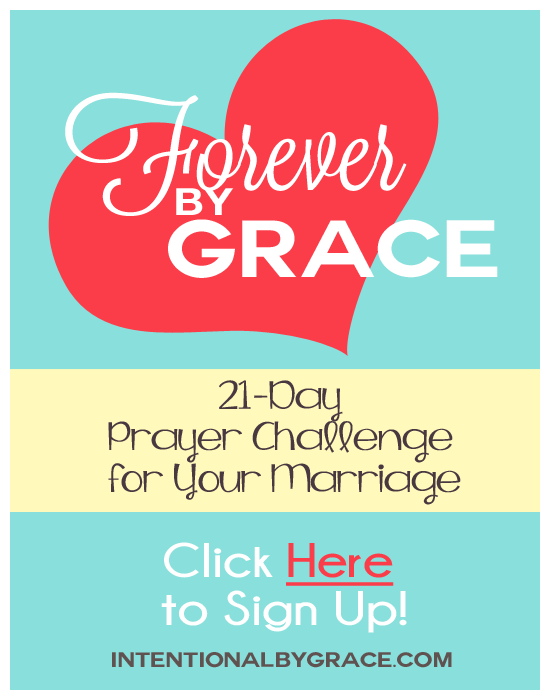 Conflicts happen in marriage, but we must be faithful to live out a grace-filled marriage. 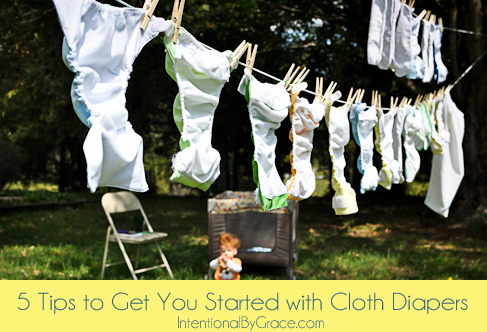 As a redeemed child of God, we are perfect – clothed in the blood washed robes of Christ. Do our children know this? Is your marriage teaching your children that you must earn love or that Christ’s love is freely given? We must be faithful examples for our children. 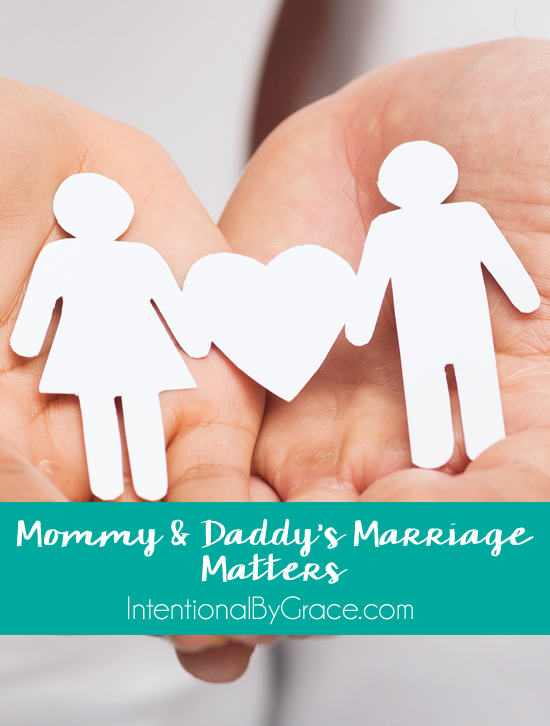 Mommy and Daddy’s marriage matters to our children if they are to learn what it is to serve the Lord and others by grace alone. It is this same grace that will give us the ability to be this example. What about you? Did any of these questions stir your heart? What ways can you grow in teaching your children to serve the Lord and/or others? I serve. I am, however, the only servant’s heart type person I know. It’s sad that others don’t go beyond being pleased to be served, to own it personally, and reciprocate in some way, shape or form. It is so hard to go beyond selfishness, isn’t it? I think that’s one of the hardest things about serving others – it’s rarely returned. When I read your comment, my heart was stirred. I want to share Galatians 6:7-10 with you in hopes of encouraging your weary heart today. May you rest in Jesus and be renewed. I pray the Lord would strengthen you by His grace to continue serving and laying down your life for others for the glory of His name! Praying for you, friend.